Often times, employees end up using multiple productivity tools for different internal and external processes, resulting in a fragmented content experience. In this competitive landscape, companies can’t afford the lost productivity and risks that result from working in silos. 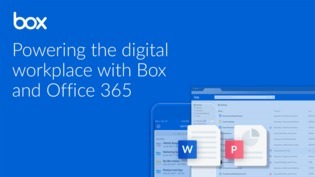 Watch this webinar to learn how leading cloud content management provider, Box, can help improve the experience for end users, IT, and security teams by providing one place to create, collaborate, edit and store content including Microsoft Office 365.